Why use an oil-based shed treatment? Oil-based shed treatments provide excellent protection against weathering and water ingress. Available in clear and coloured formulas, they are also very easy to apply and maintain. The key benefit of using wood oils on sheds is that they keep shed timbers nourished, healthy and supple which helps to prevent cracking, splitting, swelling, shrinkage and warping. Another benefit of an oil-based shed treatment over a traditional exterior wood paint or varnish is that a wood oil will never crack, peel, blister or flake off. When treating a shed there is usually a preference to either keep the shed looking as natural as possible or to add colour. For the best possible protection, it’s always recommended to treat sheds and other garden structures with a wood preservative prior to oiling. This combination of shed preservative and wood oil gives sheds the best protection from biological threats such as mould, algae and insect attack. It also provides the best protection from the damaging effects of weathering such as wind, rain, sun and temperature extremes. 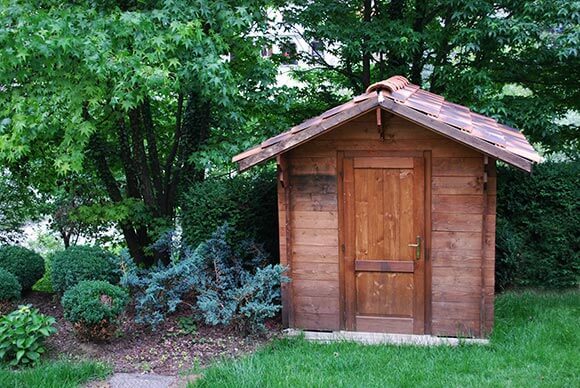 To keep the natural appearance of the shed albeit with a slightly darker, almost damp like appearance, simply apply a clear shed preservative then a clear exterior wood oil. For a coloured shed finish, there are a couple of alternative approaches. Sheds can first be coloured or stained with a coloured shed preservative and then over-coated with a clear wood oil. Coloured wood preservers tend to come in shades of brown, green and black. 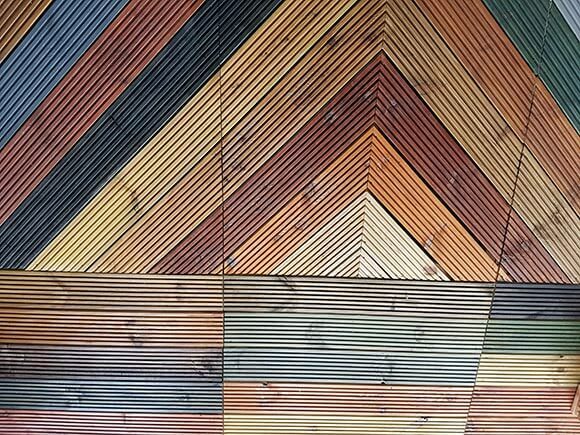 If a more colourful finish is desired, sheds can be treated with a clear wood preservative, then over-coated with a semi translucent or opaque coloured exterior wood oil. Exterior wood oils are available in many colours including shades of blue, green, grey, red, white and more. 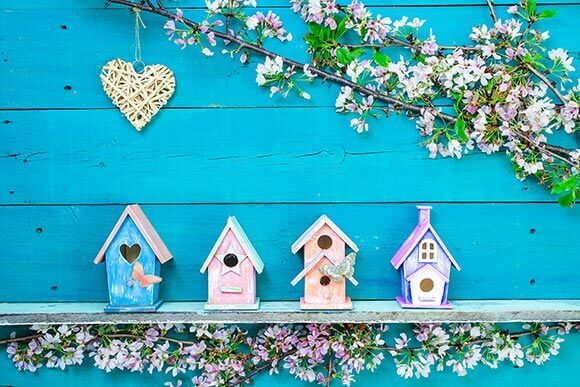 There are a number of exterior wood oils that are perfect for use on sheds, log cabins and wooden summerhouses. Traditional oils such as Danish Oil and Teak Oil can be used but these require numerous coats and regular re-coating to retain their weather proofing properties. Other specialist external wood oils are made from a blend of waxes, oils and resins which makes them more durable and long lasting. These oils tend to only require 2 coats and only require maintaining every 2 years or so, dependent on the shed location and exposure to the elements. Many exterior wood oils also contain UV filters which are added to protect the natural colour of the shed timbers from the bleaching effects of the Sun’s UV rays. The cost of these specialist wood oils over traditional wood oils is worth it because of the protection they provide and the reduced maintenance they require. Holzol Weather Oil: A high quality oil designed for use on all exterior woodwork including garden sheds and more. A great alternative to a specialist exterior wood oils are decking oil products. Decking oils are also formulated from blends of wax, oil and resins to provide weather protection and durability. After all, they’re designed to withstand foot traffic, liquid spillages and weather extremes. Many decking oils also contain UV filters and are available in both clear and coloured formulations.